Educational Qualification :- Candidates should have passed Bachelor’s Degree in Dental Surgery awarded by a recognised university/institute in India and registered with the State Dental Council. Selection of candidates will be made on the basis of Computer-based Written Examination. General/UR/OBC candidates have to pay Rs. 3,750 and SC/ST/PWD candidates have to pay Rs. 2750 through online mode using Net-banking/Credit or Debit Card. 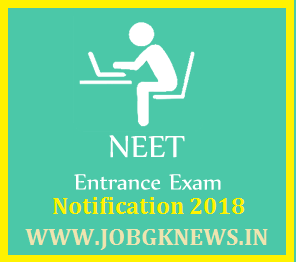 Interested and eligible candidates may apply Online through NEET website - http://neetmds.nbe.edu.in/ - from 31-10-2017 to 27-11-2017.